Most safety concerns have focused on the electric vehicle missing audible indications that the automobile is no longer standing still. This poses a significant problem to pedestrians in close proximity to the vehicle, especially those who are partially-sighted or blind. In addition, cyclists, children and pedestrians wearing headphones are at greater risk of being involved in an accident with an electric or hybrid vehicle. The low noise problem has been significant in loud urban areas, especially those congested with buildings where the traveling electric vehicle is too silent to be heard. In 2013, the NHTSA (National Highway Traffic Safety Administration) began discussing the need to have emitting noise from hybrid and electric vehicles when moving at slow speeds. This is in response to the real world concept that hearing and seeing offers our best defense against harm like getting run over or hit by a motor vehicle. For well over 100 years, gas guzzling internal combustion engine vehicles have generated a menacing mixture of sounds to alert anyone in close proximity. The NHTSA believes mandating noise-emitting devices on electric vehicles could prevent nearly 3000 cyclist and pedestrian accidents with injuries every year. 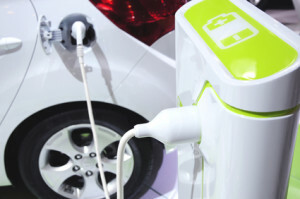 The administration cited a 2011 research paper concluding electric cars and trucks post twice the risk of causing accidents when stopping, slowing, starting in traffic, backing up or when leaving and entering driveways and parking spaces. Opponents of the study note that though statistics are outdated because the research was based on the limited number of electric vehicles traveling streets back then. Some also claim that the consideration for mandating noise emitting devices has only been targeted to electric cars and trucks. The opponents claim that newly designed gas and diesel fueled cars also produce low decibel noise levels. If the mandate becomes law, redesigning new electric vehicles and retrofitting older ones will be a relatively minor and inexpensive solution. Even so, many consumers are objecting to the intrusion claiming the design and functionality of automobiles should not be in government hands, even though it is an obvious safety feature that can save lives. Associating electric vehicles as “silent killers” might be an erroneous perception. This is because hybrid vehicles and those that operate on stored electrical energy have offered significant benefits to the environment and future of automobiles. To date, there is no significant up-to-date verifiable data that directly correlates death and serious injury with the lack of noise in hybrids and electric vehicles. That said, if federal and state governments require electric vehicles and hybrids to emit noise to alert its presence, the device will need to be installed so cyclists and pedestrians can determine the vehicle’s location, it is traveling speed, and whether it is moving away or toward the listener. In addition, the sound heard cannot be annoying so that it contrasts significantly from backup signals, horns and sirens. These aggressive warnings are designed to be deliberately unpleasant to gain immediate attention for a short duration. Finally, the sound must be standardized so as not to confuse the pedestrian, cyclist or others on the roadway. This is especially crucial to increase safety around crowded intersections. After all, the entire idea of making our world noisier in a “greener” environment must be based on increasing safety for everyone.